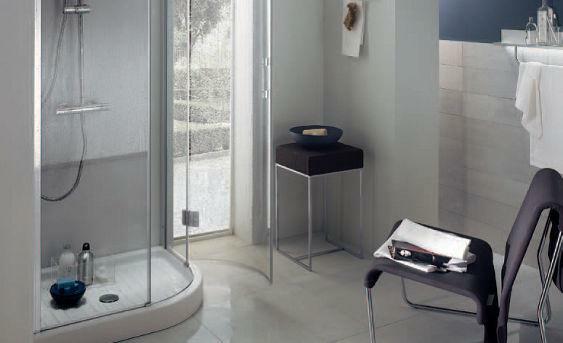 Rounded design for the Arcos corner-shower enclosure, specifically designed for small spaces. A variant of the Aquo project, with curved washbasin base cabinet in glossy lacquered Absolute White. Semi-recessed in the Okite Botticino Cream top, the “Ibo” washbasin in Mineralmarmo is fitted with a chrome-plated mixer.